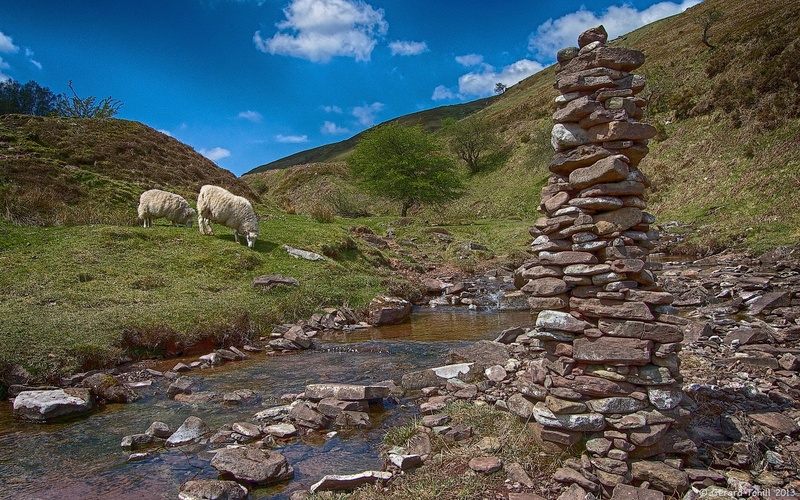 In the bed of a river in a secluded little valley in the Black Mountains, I came across this tall, slender cairn. It is well built, so someone clearly had a little time on their hands. It doesn’t seem to mark a path or anything significant in the landscape. It’s right in the middle of the river bed, so the next big flood will probably sweep it away. Someone did it just for fun, but they did a fine job.